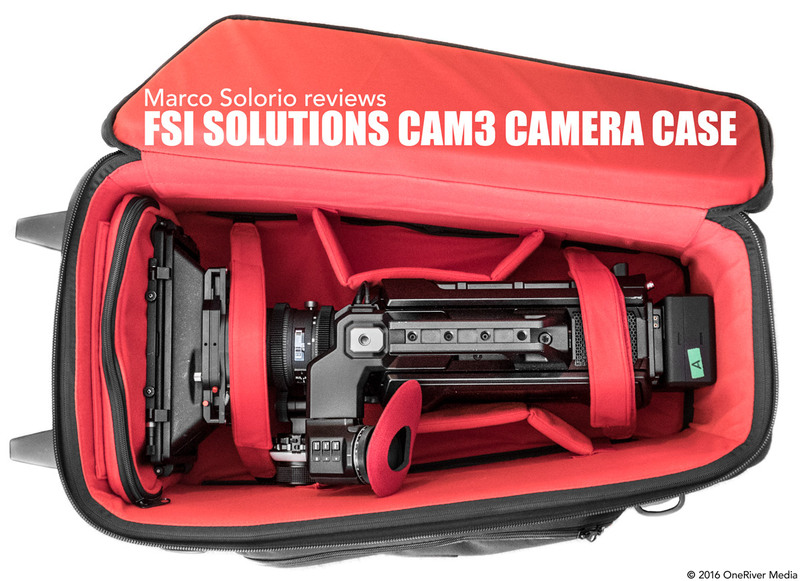 Marco Solorio of OneRiver Media reviews the new CAM3 camera case by FSI Solutions (of Flanders Scientific, Inc.). 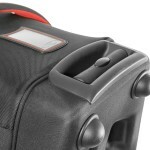 FSI is well known in the industry for their high quality production monitors but should their cases share equal praise? As you may know, I’ve been a longtime FSI fan for a number of years now, thanks to their incredible lineup of high quality monitors, from their compact units to their larger facility-based monitors. Although it’s good to note that their panels and software are top-notch stuff, it’s almost odd in a way that they’d delve into the camera case market. Or is it really that odd? 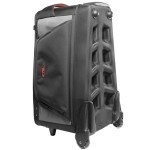 They’ve always offered cases for their monitors and those cases have always been of high quality as well. 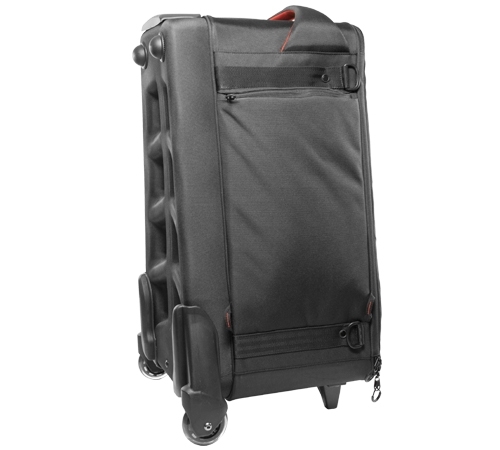 So why not delve into other aspects of case manufacturing? I say bring it on. But in short, that’s the exact point of this case… to hold an entirely rigged up camera. 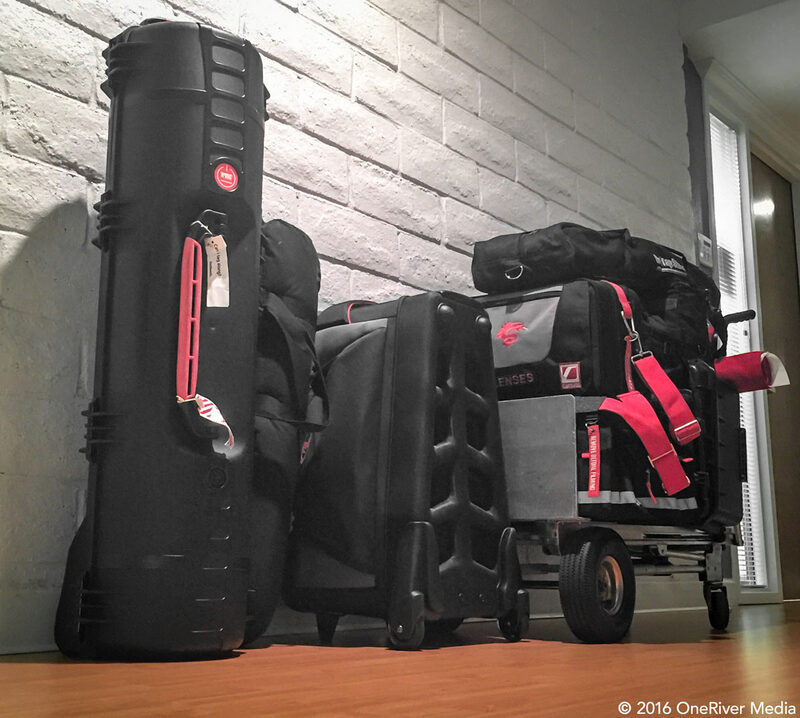 Typically, I setup up my entire production gear the day prior; light packages, camera packages, G&E, sound, etc. In the case of the camera package(s), I set up the rig, do a quick power up to ensure everything is good to go, and I keep it in that rigged state for the shoot. 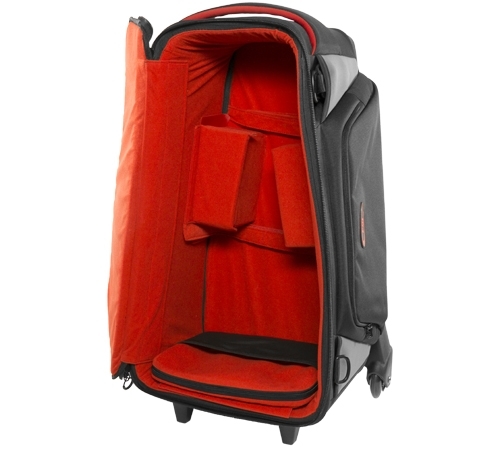 In some circumstances, this meant the camera rig would either (A) be placed in an unsuitable bag/case for the transport, (B) would not have a case at all (strapped to the front seat of the car… how many of us have done that? 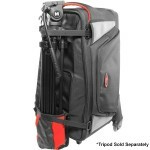 ), or (C) take the rig apart, placing every single piece of rigging (and camera) in one bag. None of the above scenarios is a good one, especially “C” since it takes time on set to build the rig back up again… just not an ideal solution. The CAM3 solves all of these problems. I can now rig the camera the day/night prior and simply place the entire camera rig in the bag, complete with matte box, Panavision-sized filters, rails, follow focus, battery, top handle, and even my 9-inch FSI BM090 monitor to boot. Plus there are added pockets for other items you want to ensure that stay with the camera rig (light meter, media cards/SSDs, etc.). For the record (and except for ENG setups), I never transport my rig with my lens attached (I keep the lenses in their own lens package case) but if you’re so inclined, the rig can easily fit with lenses mounted in the CAM3 as well. I sometimes don’t include batteries with my camera rig as well (another dedicated DC bag contains all my batts, chargers, and extra backup connectors), but again, if you’re inclined, a mounted battery can easily fit with the rig in the CAM3 as well. For quick shoots, I will however mount one battery to the camera (as shown) and a second in the case itself. My URSA Mini 4.6K in ENG configuration sitting firmly in the CAM3 case. Camera rig is complete with URSA Mini 4.6K, OLED Electronic Viewfinder, Fujinon 17x ENG lens, Chrosziel matte box, and Switronix Hypercore 98 gold mount battery, and top handle and shoulder mount kit. There is plenty of room to spare for a shotgun microphone and other accessories. Bottom line, there is a LOT of space in this case. 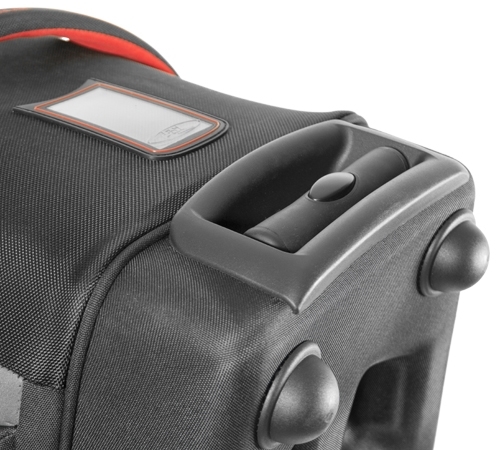 But most importantly, it’s a hard shell case that protects the contents extremely well. There are moveable “soft blocks” (doubling as accessory containers) that can make the fitment of your camera rig nice and snug. Velcro straps are also there to help keep the rig tied down. The interior fabric is really soft, so there is absolutely no way your camera rig will get scratched or scuffed up in the CAM3. In fact, if anything, it’ll buff out the scratches you already have! I also really like the red fabric, not only for its looks, but to also help make finding any loose parts (think 1/4-20 screws) much easier to find in a rush. 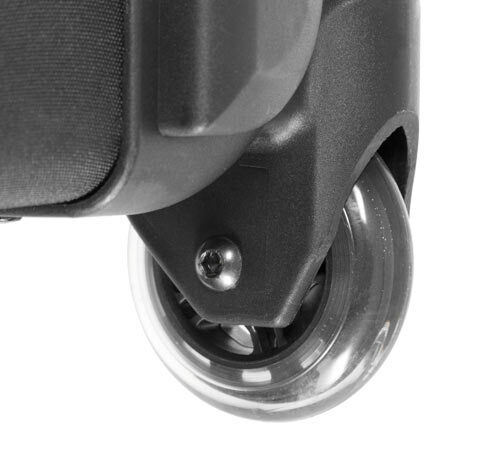 What really makes the CAM3 truly usable are the built-in rollerblade-like wheels and telescopic handle to transport the combined weight. 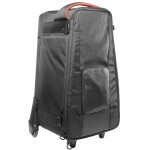 Both the wheels and the handle are built very strong and can handle the rigors of daily travel and its contents. 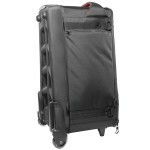 The wheels glide very smoothly and quietly. 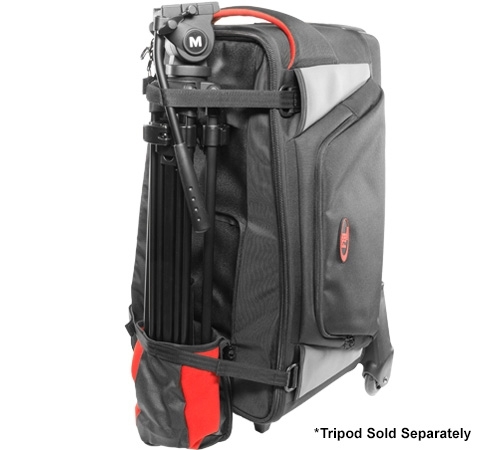 The CAM3 also has an integrated tripod holder system for small to mid-sized tripods. A nice touch, although admittedly, I usually keep my sticks in their own cases, but the option is nice to have and I’m glad to see it there. You just never know when you may need to truly keep EVERYTHING in one case. 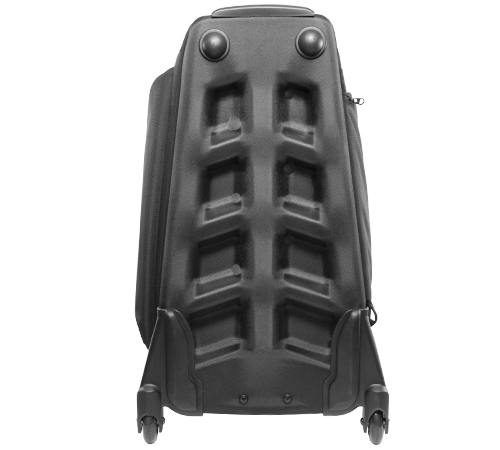 If you’re really daring, the CAM3 has a pair of backpack straps! As heavy as large camera rigs can get, I don’t know that I’d want to backpack the rig up a hiking trail, but for those that are more adventurous than me, I say go for it! Once again, I’m glad to see the option there in case it’s needed in a pinch. 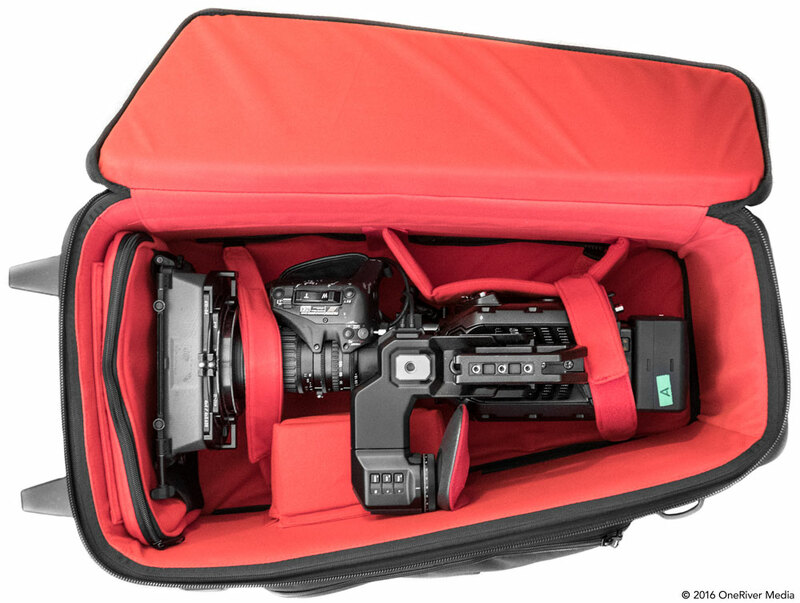 The CAM3 also comes with a standard shoulder strap, which is a nice touch. All in all, I’ve felt the built-in handles of the CAM3 are enough when pulling it in and out of shelves and into trucks and such. 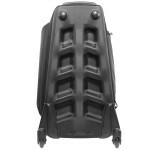 But the strap may give you added support in an awkward maneuvering situation when transporting the case. Just glad it’s there. 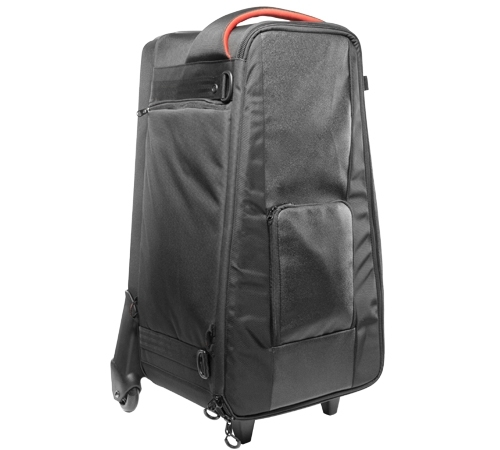 The FSI CAM3 case sits well with our other gear, with easy mobility, thanks to its telescoping handle and strong smooth wheels. I love the color combination and styling of the CAM3. 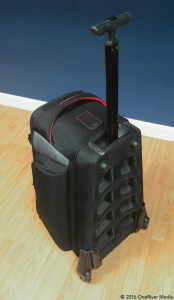 The rear “exoskeleton” of the case really adds to its overall strength. 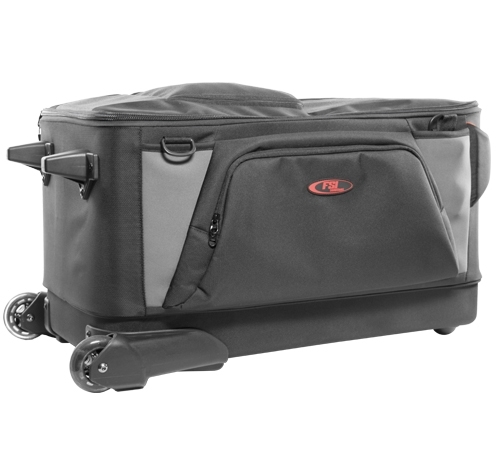 And with the sheer amount of space it provides (and in combination with its various pockets), there’s definitely plenty of room to put an entire camera rig in one protected enclosure on wheels. I definitely give the CAM3 high ratings in build quality, space, functionality, ease of use, and overall design. I recommend the CAM3 to anyone that prefers having a pre-rigged camera package the moment they arrive on set like me. This case is currently in an incredible sale, going for $95 (!) down from $495. I bought two more, just in case!